This morning I discovered I am not above bribery when it comes to coercing my little beam of heanvenly light into her car-seat. Like all baby/toddlers, she has moments of strong preference that is simply in disagreement from my strong preferences. Like every Mother on this planet I am learning how to tango with these moments. This morning, I was not late for an appointment, and I did not have to pee. 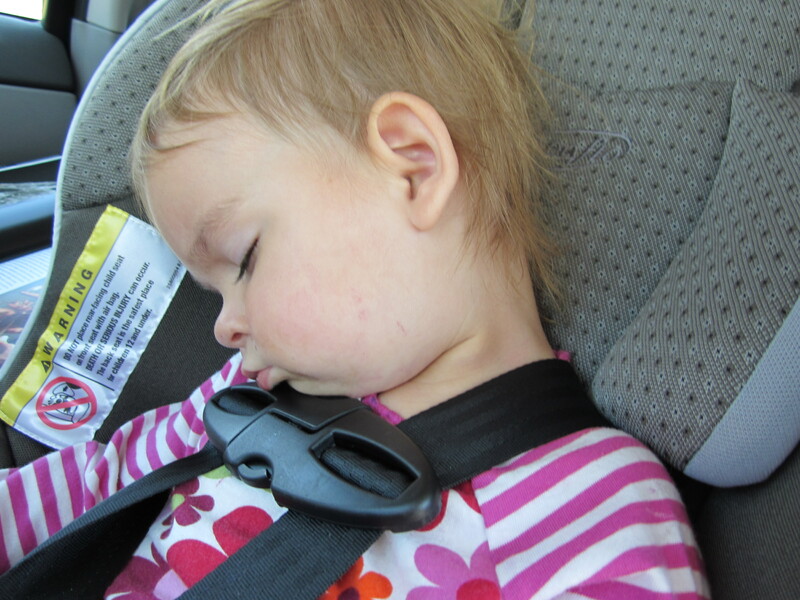 And she did not want to get into her car seat. Before when this has happened I’ve handled it in a variety of ways, everything from waiting it out, to talking her into it, and even using brute force and just letting her deal with it(cry it out:( ) I’ve decided that that last method is simply no longer an acceptable option, unless there is an emergency and I cannot do anything else. I have realized that physically handling her, forcing her to do what she doesn’t want do is out of alignment with the relationship that I ultimately want to create with her. Unless I truly have no other choice, I will no longer do it. I’m finding Motherhood to be a daily stream of opportunities to find creative solutions to problems. I do not wish to control my baby. I wish to inspire her. I do not want to create moments her day where she felt powerless and her preferences and choices disrespected. I want her to know that I do respect her voice just like I did when she was a baby. And that I will always meet her requests when they are reasonable and realistic. I trust that when she is given the respect from me to allow her to make her own choices (within the bounds of reality and safety of course) that she will ultimately and eventually give me the same respect back. I can use brute force on her now when she is tiny, but this will no longer work very soon. I could use brute force or I could grow and learn and become more creative and more dynamic. So there we were in the car, Cora standing in her car seat, refusing to sit down and telling me to go away. And me thinking, I really don’t want to bully her, ever again. I don’t want that unpleasant black smear on a perfectly good morning. And then I saw a book that we had just bought for 2$ at the sidewalk sale. “Wow, the kitty is playing! she’s having so much fun! Do you want to see it? Okay, sit down in your car seat and you can have it! And just like that, she was in her car seat faster than I could say once upon a time. And we rode home in happy peace, her talking to me telling me all about the friends we saw downtown, about lunch. And I rode home so relieved to have one more tool in my belt, one that is gentle, non-violent, and non- forceful. She was empowered to decide to sit in her seat, instead of being forced to do it. .